Will Student Debt Ruin Millennials&#8217; Retirement Plans? Will Student Debt Ruin Millennials’ Retirement Plans? By the year 2020, 40 percent of the American population will be working as freelancers, contractors, or temporary workers. While there are many benefits that come with working in flexible roles, these positions are, of course, less secure than traditional employment. As a result, questions of money and retirement rear their ugly heads. The career decisions millennials make now, at this moment in time, may become paramount to their later ability to retire. Not only are millennials joining an increasingly precarious workforce, but they’re also in debt, and they aren’t making a ton of money when they graduate. The average student graduates with $27,000 in student debt; and yet, in 2012, the average annual wage for young college graduates was only $34,500. This is the lowest average pay for young college graduates since 1998. Earning a degree, finding a job, and paying off debt can seriously complicate the average millennial’s life: 53 percent of millennials are either jobless or underemployed, and only 30 percent feel their current jobs play important roles in their long-term career plans. Despite the bleak picture, all hope may not be lost for the millennials. 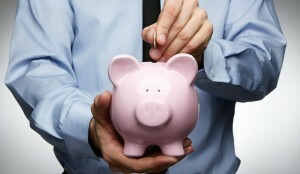 Studies show that Gen. Y-ers are saving often and early. The average millennials start saving for retirement at age 22 — a much younger age than either the Gen. X-ers or baby boomers began saving for their retirements. Budgeting, saving, and learning to be thrifty are the norm for many recent grads, which helps them develop healthy spending habits. Millennials are responding the stress of their uncertain economic futures, but will they have enough money to retire when the time comes? Retirement: Where’s the Money in 2060? Given all the doubt surrounding Social Security, employer-sponsored retirement funds, and the future of the U.S. economy, young millennials need to be thinking about their gray-haired selves right now. NerdWallet reports that most recent college grads won’t have enough assets to retire until they are 73, whereas the current average retirement age is 61. Additionally, a staggering 75 percent of Americans have less than $30,000 in their retirement accounts. Life expectancy is rising, and so should our contributions to our savings accounts. According to a study conducted by Merrill Lynch and Age Wave, “workers between the ages of 25 and 37 expect to receive 32 percent of their income in retirement from personal savings and investments, compared to 19 percent for baby boomers.” The shifting landscape of the work world is placing a higher responsibility on the individual for to create and maintain their own retirement funds. Employers won’t be footing the bill like many did in the past. Experts repeatedly give millennials three basic pieces of advice when it comes to managing their money: build an emergency fund, pay off your debt, and contribute to a mutual fund. Alan Moore, founder of Serenity Financial Consulting, says that millennials should build up emergency cushions first, before paying off debts. It’s smart to have readily accessible cash on hand in the event of car troubles or illnesses. According to financial consultant Dave Ramsey, paying off debt should be a millennial’s — or anyone’s, really — next step. Certified financial planner Sophia Bera urges millennials to contribute enough to their 401(k)s to qualify for a company match; she also believes it’s a good idea to a Roth IRA as well, if possible. Eighty million baby boomers will retire in the next 20 years, making room for the “rest of us” at the top. Will millennials emerge financially strong? Your guess is as good as any. Millennials, ye be warned.